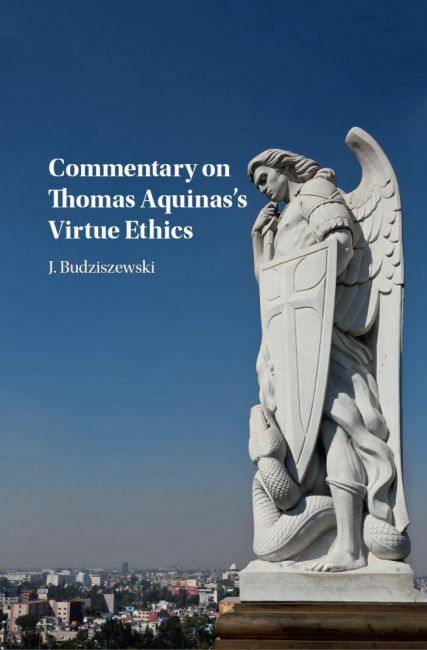 My newest book is Commentary on Thomas Aquinas’s Virtue Ethics, published by Cambridge University Press in May, 2017. It is a line-by-line examination, in the classical style, of selections on moral character from the Summa Theologiae. Part I is about virtue in general; Part II focuses on the virtue of justice. I’ve written the book for in such a way as to be helpful to both scholars and beginners. Because the topic is foundational to many other studies, it should be useful in courses on ethics, political philosophy, jurisprudence, and moral theology, among others. Right here you can view the copyright page, the analytical table of contents, the frontmatter including the introduction, a sample chapter, and the index. I don't know why Amazon.com says the book is 250 pages; it's 295. Sample Chapter -- I-II, Q. 55, Art. 4, "Whether Virtue Is Suitably Defined"